View all homes currently For Sale in BOWNESS. Email Glen at Glen@Godlonton.com for more details on any of theses great homes. Drop us a line to request Sold Prices on any homes and to fine out about any properties that may be coming to market in the future ! Bowness is a community district in west Calgary. It was an autonomous town until 1963, when it was amalgamated by Calgary. The neighbourhood is bordered by the Bow River on the north and east, 16th Avenue on the south, and Stoney Trail on the west. Immediately over the river to the east lies the community of Montgomery, itself an autonomous town until Calgary amalgamated it in 1963. On the northwest end of the community is one of Calgary’s most popular parks,Bowness Park. The park sits between the Bow River and a lagoon, and is popular for picnics, summer sports, ice skating in the winter, and boating. It is also part of the city’s large pedestrian pathway network. To the south-east, it is bordered by Edworthy Park. Residents of the area are called “Bownesians” (Bow-NEE-zhins). A fun name for a great community spirit with Great Bowness Real Estate. The Bow Valley, where Bowness is situated, has been occupied by native peoples since the end of the last ice age, around 10.500 years ago. Archeological evidence shows that the Nitsitapii (Blackfoot) have been in the area for over a thousand years, with Stoney, Cree and Tsuu T’ina peoples arriving from the sixteenth century onwards. Non-natives reached the region in the late 1700s, after which native populations began to decline rapidly, due to epidemics and the decimation of the bison herds on which they depended. In 1877, the Blackfoot, Blood, Peigan, Tsuu T’ina and Stoney First Nations signed Treaty 7, accepting to live on reserves that covered some of their traditional hunting grounds. At about the same time Treaty 7 was signed, the Dominion Land Survey was done, making it easier to lease or sell land in the west of Canada. The area which is now Bowness was leased for a while by the Cochrane Ranche Company, from 1883. It was then bought and sold several times over the next few decades. Two of these sales were important for the subsequent history of Bowness. In 1890–91 Thomas Stone and Jasper M. Richardson purchased the land. They started the Bowness Ranche and built a ranch house whose stables and barns were on an island in the river which is now Bowness Park. The name Bowness was apparently chosen by Stone, who had enjoyed visitingBowness-on-Windermere in the English Lake District before coming to Canada. Despite an aggressive advertising campaign, and improvements such as the building of a golf course and club house, only a handful of lots were sold. There was a downturn in the economy and then World War I broke out in 1914, and Hextall himself died the same year. After the war, Bowness languished, although Bowness Park was extremely popular with Calgarians, who came in the thousands on the street-car. Some small farms were established and enough lots sold to justify building a school in 1932, some stores, and in 1934 a post office. Marty Wood, the famous rodeo cowboy, arrived with his family in 1940 or 1941, and attended Bowness School. His parents opened riding stables on Chinook (now 34th.) Avenue. Of note also was the use of a large field near the park, the Bowness Flying Field, as Calgary’s first commercial airport. It was managed by Fred McCall, a Canadian wartime flying ace, who flew mostly sightseeing flights to Banff and around the area throughout the twenties. Bowness began to take off again after World War II, when the government provided 48 one acre plots to returning veterans, in an area known as the Soldiers’ Settlement. Schools and churches were built and in 1947 two theatres were opened to serve the growing population. In 1948, Bowness became a village. A volunteer fire brigade was formed, a fire hall built, and other public services provided. The status of town was achieved in 1952, with John Mackintosh being elected as the first mayor of the Town of Bowness. 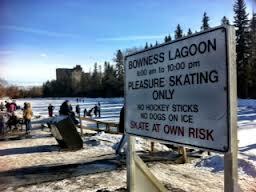 Finally, the town of Bowness was amalgamated into the City of Calgary in 1963. Since Bowness was amalgamated, it has had to cope with a number of social issues. In part due to its origins as an autonomous community, Bowness is home to both wealthy and disadvantaged residents and is more socioeconomically diverse than many of Calgary’s newest suburban neighborhoods. This diversity has contributed to some socioeconomic problems in the community (including crime). An example of this socioeconomic diversity can be seen in the difference in housing stock between the high-priced homes and properties along the Bow River, and the less expensive, former military housing just a few blocks away. Like many older Calgary neighbourhoods, Bowness is experiencing gentrification with the renovation and reconstruction of some of the housing and commercial properties. For example, between 2006 and 2010 the commercial properties along “Main Street” Bowness have undergone renovation and revitalization including the former Bowness Hotel site (now called Hextall Place) and the former Bow Cycle Building now housing the Calgary Public Library. Bowness is home to a number of unique annual events including the Lions Club Stampede Parade and Breakfast held the first weekend of Stampede; the Tour de Bowness held at the end of July; and the Harvest Fair held the second weekend in September. In the City of Calgary’s 2012 municipal census, Bowness had a population of 11,012 living in5,313 dwellings, a 2.9% increase from its 2011 population of 10,700. With a land area of 5.6 km2 (2.2 sq mi), it had a population density of 1,966/km2 (5,090/sq mi) in 2012. Residents in this community had a median household income of $40,468 in 2000, and there were 24.1% low income residents living in the neighborhood. As of 2000, 12.7% of the residents were immigrants. A proportion of 30.9% of the buildings were condominiums orapartments, and 45.6% of the housing was used for renting. Most public senior high school students from the community attend Bowness High School, which was built before the amalgamation. Bowness Real Estate is close to Junior high and elementary schools include Thomas B. Riley Junior High, Belevedere Parkway Elementary, Bowcroft Elementary, and R. B. Bennett Elementary (closed in 2004). There is also one K-9 Catholic school, Our Lady of the Assumption. 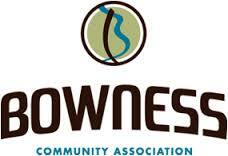 The Bowness Community Association was established in 1963 and is located at 7904 – 43 Avenue N.W., Calgary, AB inside the Bowness Community Association and Arena. The Association is governed and operated by a volunteer Board of Directors, several resident committee volunteers, and last but not least, the Community Association staff. Bowness; a vibrant, engaged, sustainable, community of choice. To serve Bowness, building a stronger community for all by respecting the history, diversity and natural beauty of Bowness. To provide a gathering place and hub of information. To create connections through recreational, educational, social and cultural opportunities. To foster an environment of collaboration and respect with all stakeholders. Integrity – demonstrating honesty, transparency and ethical decision making. Inclusivity & Volunteerism – recognizing, respecting, collaborating with all community members regardless of affiliation or status. Safety – promoting a safe, welcoming community while promoting the health and well-being of all residents. Sustainability – responsible use and management environmental, economic and social resources. Creativity – giving voice and providing a supportive environment for new and innovative ideas. Bow Cycle is a family owned business that has been in operation for 55 years. Opened in 1957 by Jim and Mary Sibthorpe, Bow Cycle was first established as a small bicycle and sporting goods store in beautiful downtown Bowness, Alberta (at that time, Calgary had not yet grown to engulf the smaller outlying towns and communities). As the years passed and the business prospered, Jim and Mary’s two sons, Jim Jr. and Brian, became increasingly involved in its operation. The brothers have now been successfully managing and growing the business for 30 years. Longtime employees John Franzky, Darrell Elliott, Kurt Christensen, Kevin Senior and Dave Leung have also joined the ownership group to add long-term stability. A lot has changed since the store’s early days. Today, Bowness is a permanent fixture in Calgary… and so is Bow Cycle. The store has grown to become one of Canada’s largest and most successful bicycle retailers. Boasting almost all of the industry’s largest names under one roof, Bow Cycle continues to exceed client expectations of customer service and product quality. While a lot has changed at Bow Cycle, a lot has stayed the same. During a radio ad in the early 1960s, Jim Sr. coined the phrase, “Bow Cycle, this is where the fun begins.” From that day forward, those words have served as the blueprint for how our business is run. We truly believe that being on two wheels is fun, and we want all our customers and staff to feel the same way. 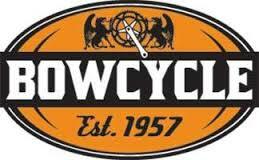 As of 2012, Bow Cycle will have been selling fun on two wheels for 55 years. Looking back at where we’ve come from and ahead to where we’re going, we’re sure that our next 55 will be just as fun-filled and amazing and close to Bowness Real Estate. 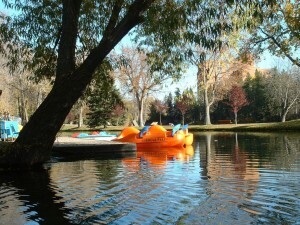 Bowness Park is located along the Bow River between Stoney Tr. and 85 St. N.W. A shallow lagoon runs along the along the park’s southern edge, a favourite spot for paddle boating in the summer and ice skating in the winter. Bowness Park highly used for picnicking and accessing the Bow River. Bowness Park is located Close to the Best Bowness Real Estate ! Bowness Park was built before the First World War by John Hextall, a local land developer. 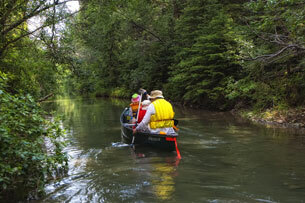 It was built in the town of Bowness as a weekend retreat for nearby Calgarians. The park once had a swimming pool, carousel and orthophonic device on the lagoon.